How do you like your plantains? 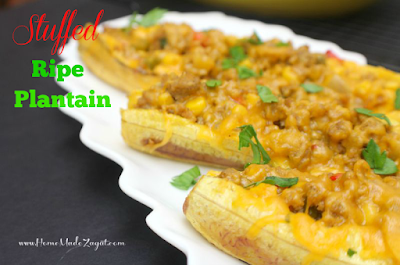 Are you a plantain lover like me? 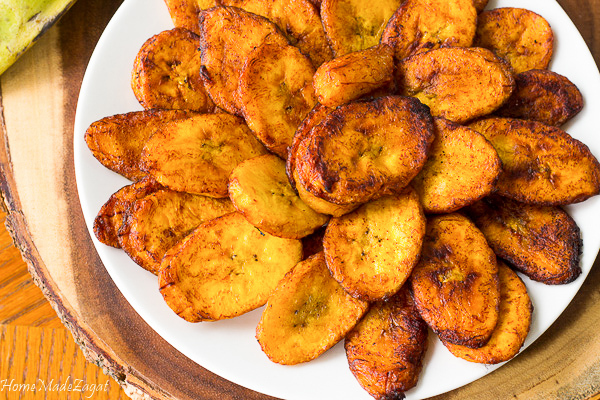 OMG, there's nothing like the perfect fried plantain. 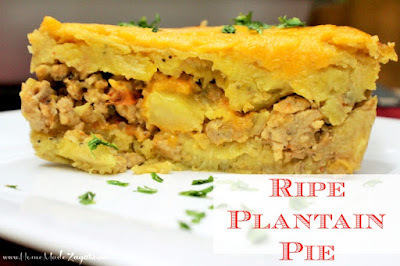 A simple side dish in a lot of Caribbean and African homes. I think I can eat a whole fried plantain on my own. And this option is no different. Normally, we simply peel and fry plantain and that is amazing. But sometimes you want to try a little different flavor and these spicy fried plantains are now an option. 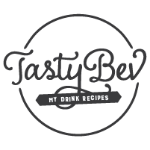 This recipe is no different than my first fried ripe plantains. These are the plain ones that we love so dearly. But how about us stepping up the flavor a bit? 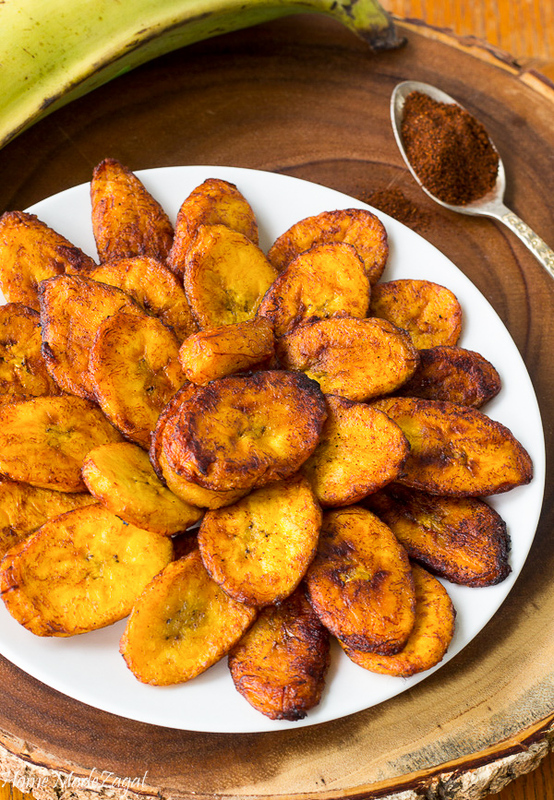 These fried plantains have the spiciness that will counteract with the sweetness of the ripe plantains. The best plantains to fry are the ones that have started to turn black. 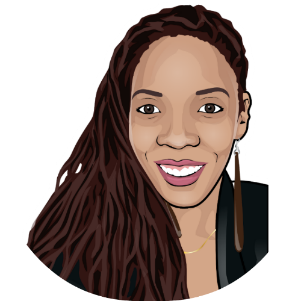 Those plantains with spots of black on the skin work fine and even all black skin (just making sure it's not soggy to touch). And that is the hardest part of making these yummies. 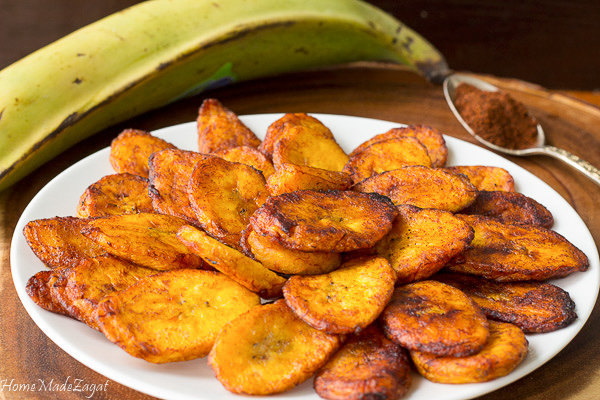 Do you consider plantain a fruit or a vegetable? Unlike bananas they are vegetables. They are a great source of fiber, beta-carotene, calcium and vitamin C.
We just need to season them up a bit and leave them to marinate and then fry. To the perfect, golden, eat all with a fork perfection. Or if you rather be an adult, and eat it as a side along with some saltfish or with your pelau. But I rather just eat it with a fork. Mix to ensure that plantains are evenly coated.